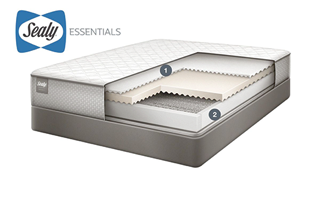 Are you looking for the seemingly elusive BeautyRest® and BeautySleep® you deserve? Contact your Mattress By Appointment® Montclair, CA location today and we'll ensure that you do! With countless financing options to choose from, including our No Credit Needed flexible financing, and our $40 Down promotion a Simmons® BeautyRest® or BeautySleep® mattress is easily within your reach. The entire Beautyrest® collection consists of Platinum™, Platinum™ Hybrid, Silver®, Silver® Hybrid, and the BeautySleep® Collection. To receive your BeautyRest® or BeautySleep® tonight, contact your Mattress By Appointment® Montclair, CA location today!